Many people don’t think about inspecting the sewer and septic system before buying a home. After all, living with a properly working septic system conditions us to view it as “out of sight and out of mind.” However, getting a sewer line inspection done for a new home is absolutely essential. Why? Well, a damaged sewer line isn’t a pleasant thing to experience – bad odors and leaks are just a couple things that can happen if the pipes are clogged. A sewer line inspection can help you nip these problems in the bud before they become more serious. How Much Does a Sewer Line Inspection Cost? The cost of a sewer line inspection varies depending on different factors, the length of the pipes being one of them. The important thing to remember about cost, however, is that it’s best to fix sewer line problems early on before they become more costly. So what are you getting for your money with a sewer line inspection? What Happens During A Sewer Line Inspection? A small camera is added to the sewer line so that the inside of the piping can be monitored. The area is inspected for large tree roots that can interfere with underground piping. 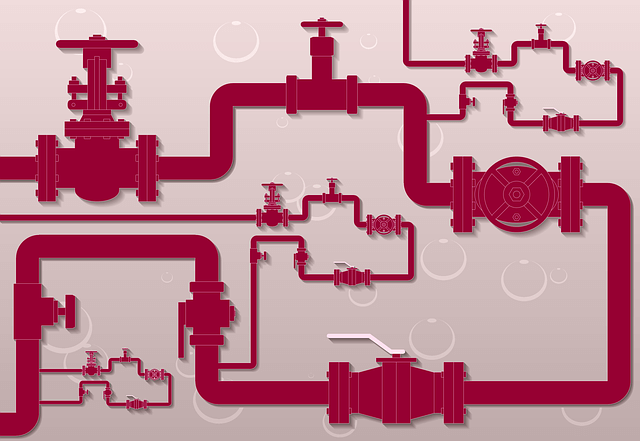 Older pipes are located and repaired/replaced as necessary. Clogs in the piping are cleared, which may or may not require new piping. Now you know why a sewer line inspection is necessary for a new homeowner. Piping will need a camera installed for monitoring. If it’s an older home, pipes will likely require repairs or replacement. The area around the home which is unfamiliar to the new homeowner will require inspection to find any large troublesome tree roots. So what if you’ve just acquired a new home? What potential sewer line problems should you be aware of? The sewer line that’s running the length of your street is the responsibility of your municipality. However, the sewer line that’s running from your house to the street is your responsibility. One of the most common problems is gunk building up in the pipes from repeated usage of drains in your home. Common problems with older clay or steel pipes include cracking or rusting over time. These problems are not easily seen, but there are a few warning signs you should watch out for. If you notice any of these things, you should consider calling in a professional plumber. Toilet bowl level: if the water level varies day by day and seems unusually high or low, then you should call a plumber to evaluate your sewer line. Strange sounds when water is draining from sinks (such as gurgling sounds). Strange smells coming from drains or from your yard. Slow moving drain (it’s not a good idea to use a drain cleaner in an older home, as the pipe materials can become greatly damaged by the harsh chemicals, creating an even bigger problem). Are you ready to get your sewer line inspection done and over with? Do you require commercial plumbing supplies? Feel free to give us a call and drop us a line about your sewer line!